Tri Brisbane's most awarded air conditioning specialist. Fill in the form and we will be in touch! Tri the best - Call Tri-Tech today! Tri the best – Call Tri-Tech today! Leveraging their decades of experience in heating and cooling, directors Bob Belanger and David Filopovic developed AirSmart to bring ducted cooling to properties that previously wouldn’t be able to support it. Using small-diameter air conditioning ducts, AirSmart small duct systems can be installed anywhere, owing to the small size of the ducts and their light weight. Thanks to the narrow ducting, air that’s delivered through small duct systems comes out at a higher velocity. In addition to a more refreshing sensation, cool air is also distributed more evenly throughout your home or business. Sleek and unobtrusive grilles can be installed In walls, floors, or underneath staircases… with AirSmart’s small ducted cooling system, your cooling adapts to your home, not the other way around. This unparalleled flexibility allows us to refine our cooling solutions even further! Small duct air conditioning in Brisbane: why choose AirSmart? 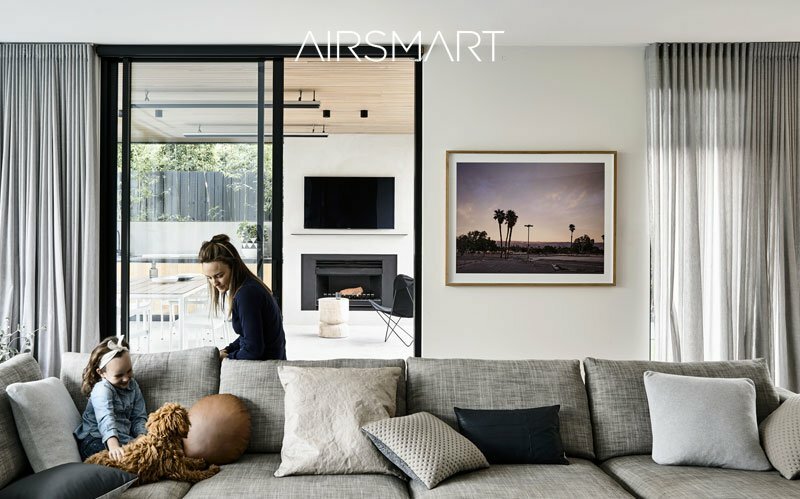 AirSmart was one of the pioneering brands that brought sophisticated, sleek, modern, and efficient small ducted system technology to Australia. No more hot and cold spots – AirSmart Venturi air conditioning systems ensure even air distribution, delivering comfort no matter where you are in your home or business. Using the same air purification technology that NASA uses in the International Space Station (ISS) to keep their astronauts safe, AirSmart ensures healthier air by keeping your property free of volatile organic compounds such as airborne bacteria. Take control of your comfort with smart zoning. Each AirSmart small duct system can be split into multiple zones, granting you precise control over each individual room down to the time of day, temperature and humidity – and all from your smartphone or tablet! Do you have unique air conditioning requirements? AirSmart can integrate add-ons to your small duct system, including electrostatic and high energy particulate air (HEPA) filters. These add-ons are built to high tolerances, making them suitable for businesses with strict air quality requirements. 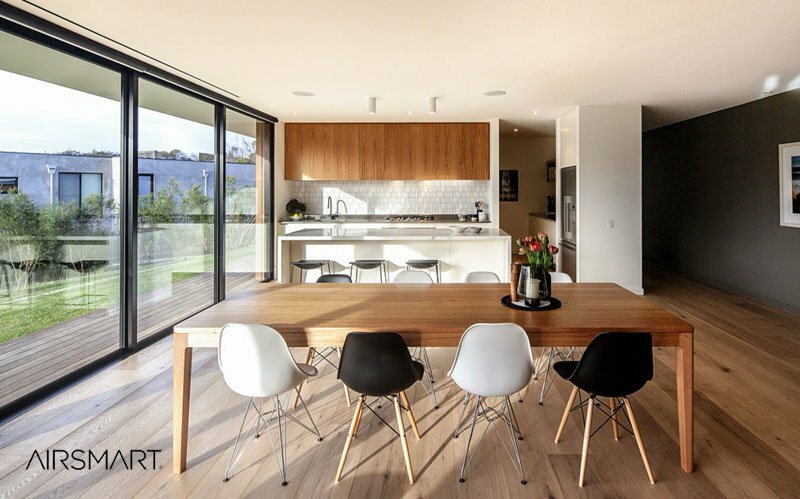 The team at Tri-Tech are proud to offer Brisbane homes and business tailored cooling systems. Our approach to system design focuses on building air conditioning solutions that perfectly fits your needs. From the very first consultation, we’re assessing your property, insulation, indoor temperature, exposure to sunlight, electronics and more. From there, we suggest air conditioning systems that tick every single box. Tri-Tech are Brisbane's leading air conditioning experts. We strategise, plan, install, and maintain the right air conditioning solution for your home, office, or workplace. Our rapid-response tech team is always ready to help! Organise a visit from a skilled technician today.